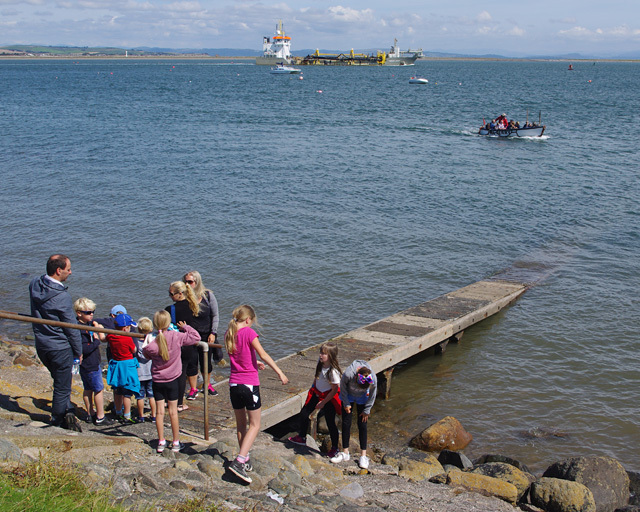 "Passengers await the ferry as it approaches the jetty. In the background, Shoalway, a hopper dredger heads out to sea." Photo by Ian Taylor, 2017.